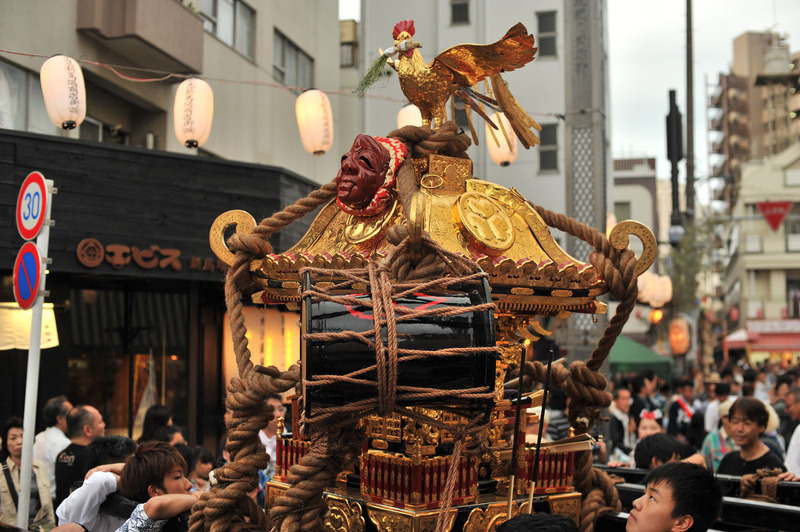 The Shinagawa Matsuri a couple of weeks ago has some pretty interesting omikoshi, well known for the attached drums, which are beaten continuously during the parade. 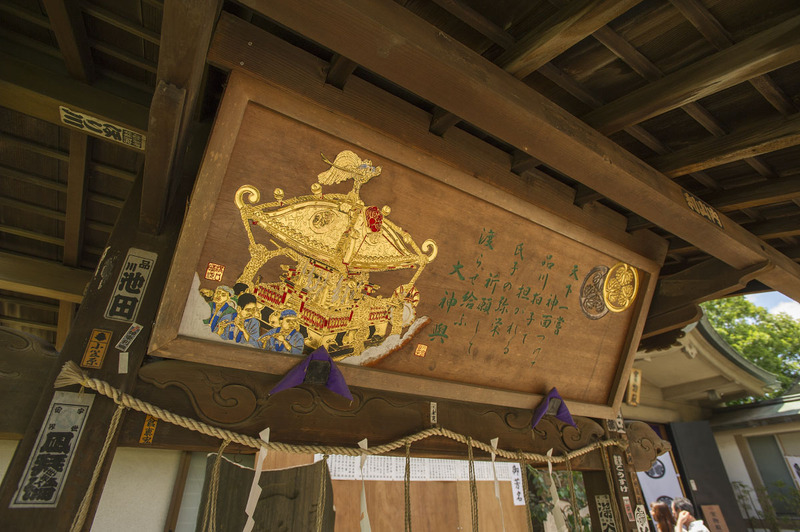 The movement style of omikoshi is also quite peculiar and has a very interesting rhythm and style. 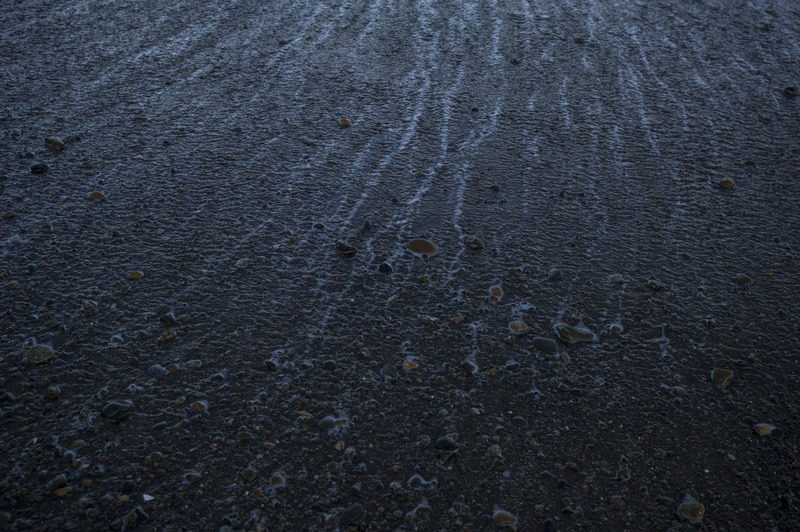 You must see it to appreciate though, as the photos do not do the movement justice! 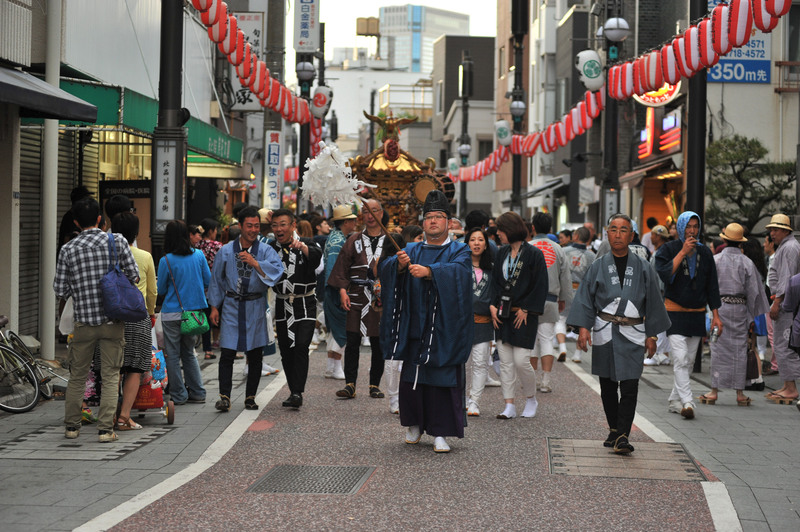 I took these photos at the shopping street leading up from neighborhood just below the shrine itself. 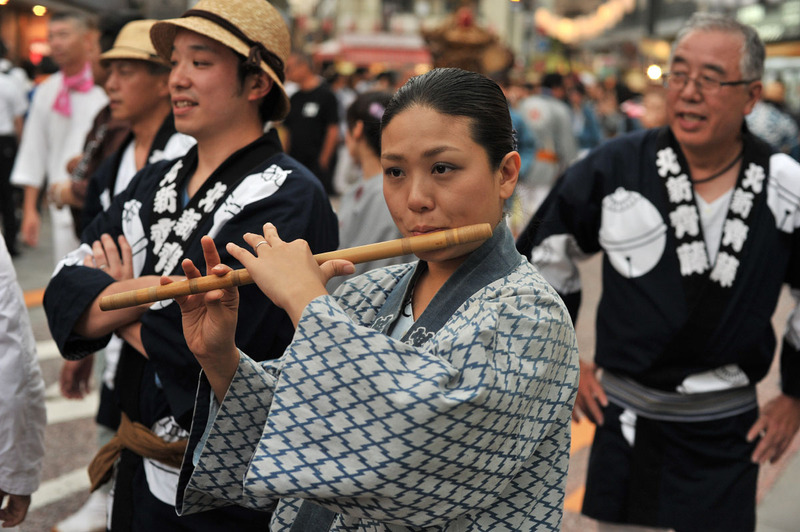 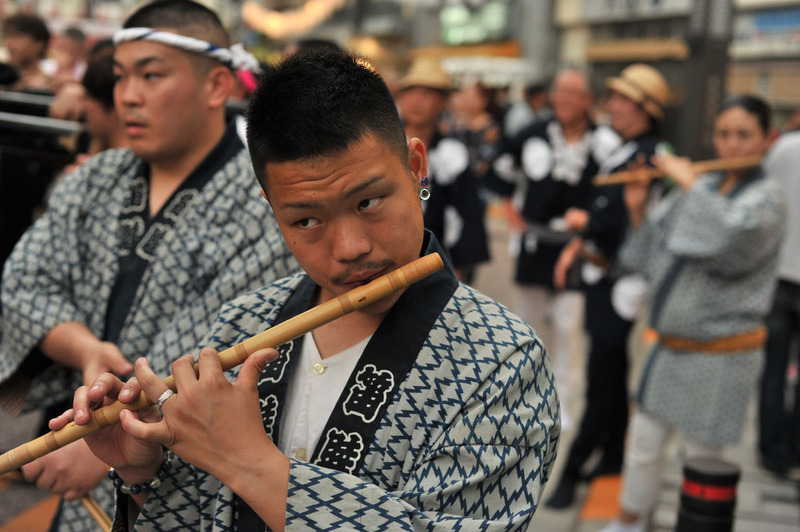 Accompanying each omikoshi is not only the drummer, but also one or two flutists, which makes the festival even more festive than usual! 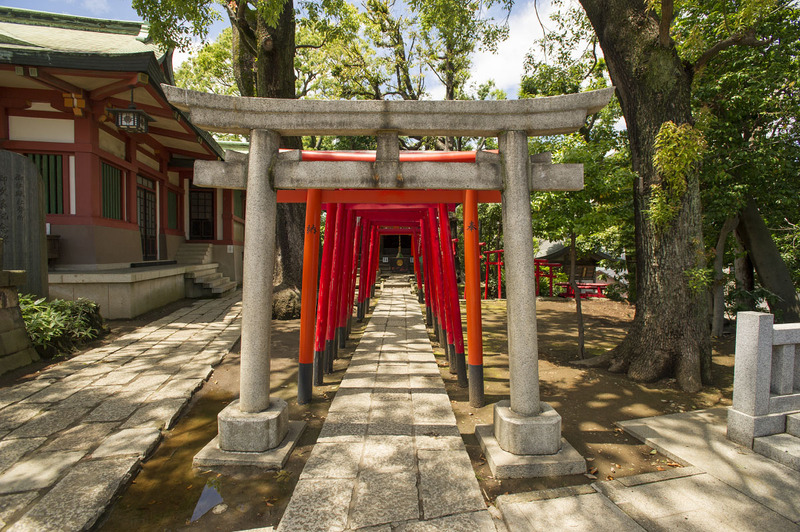 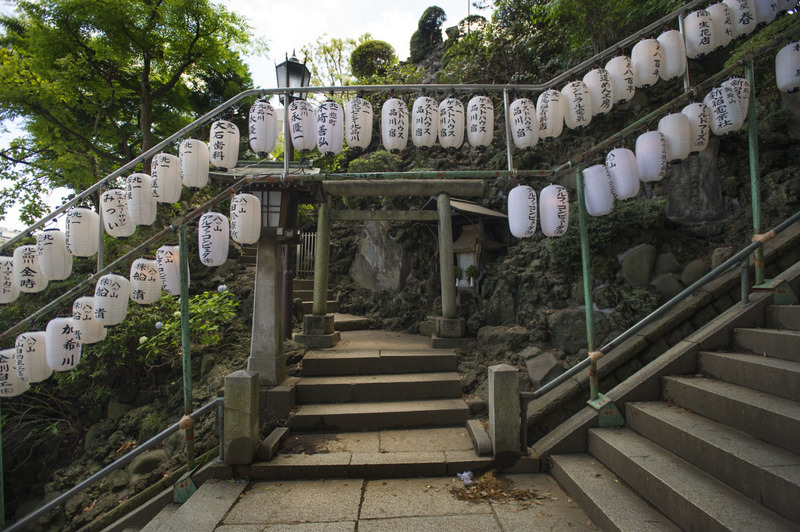 If you have visited a few shrines in Tokyo you are likely to have come across the concept of the Fujizuka (富士塚), which literally translates to “Mount Fuji Mound”. 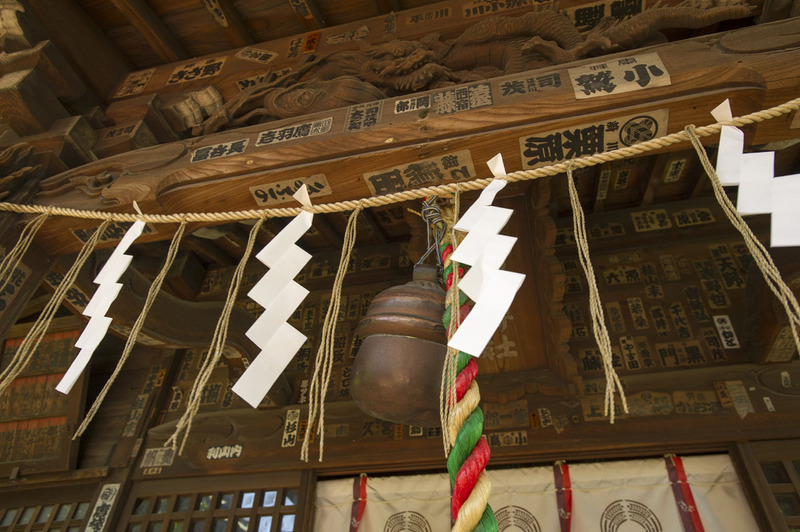 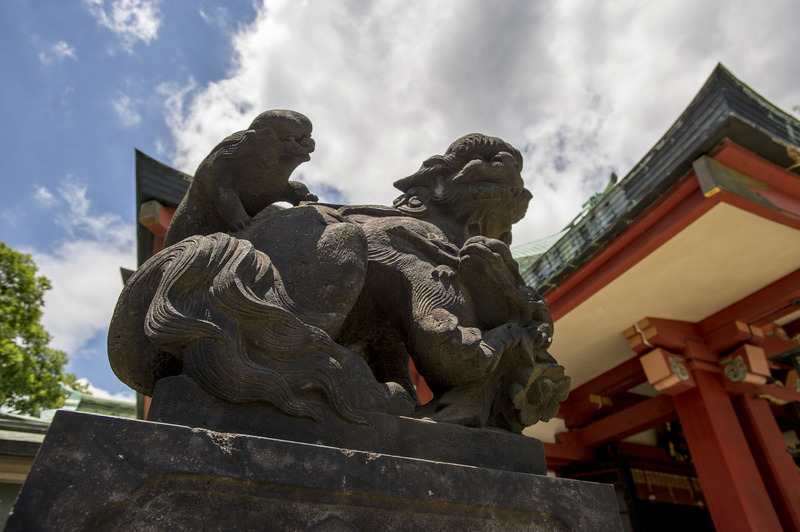 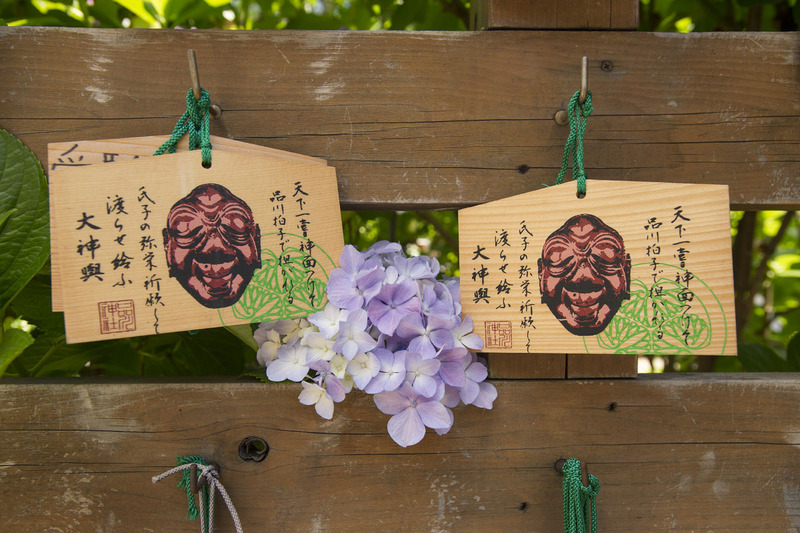 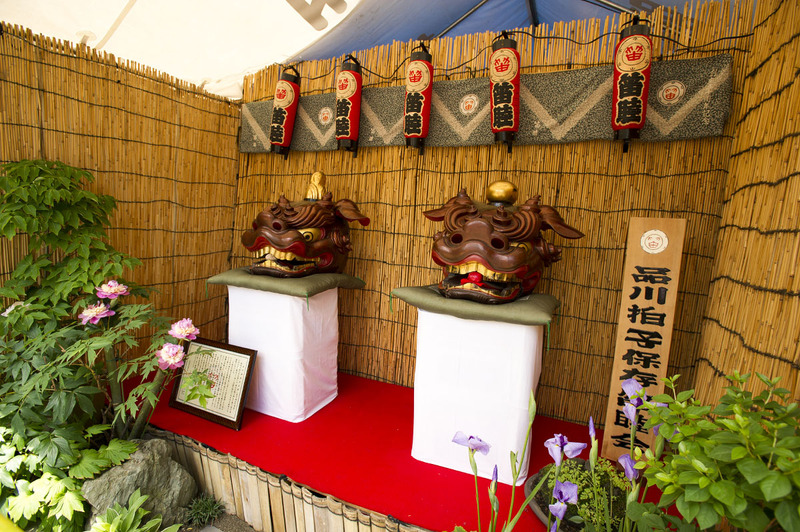 These mounts that are made to resemble the famous Mount Fuji are anything from a couple of meters to the biggest one at 15 meters, here in Shinagawa Shrine. 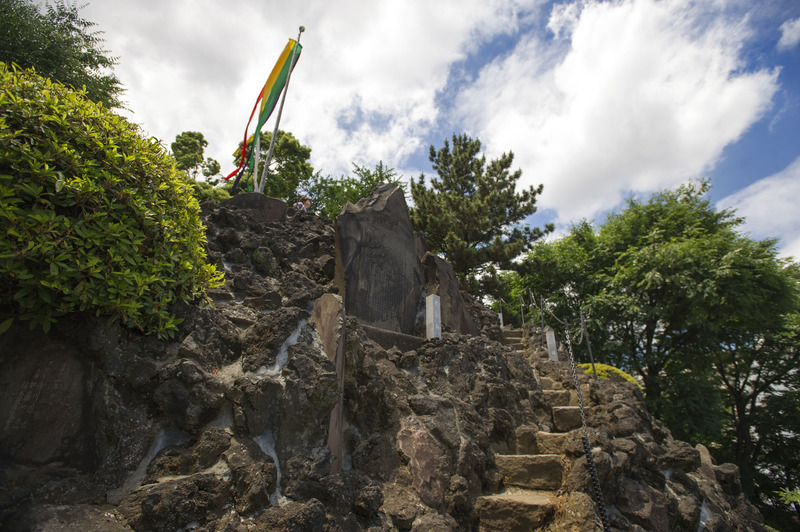 The common theme is that they all contain more or less original lava stones from the real mount fuji, usually these genuine rocks are in very visible locations, more or less covering the mound. 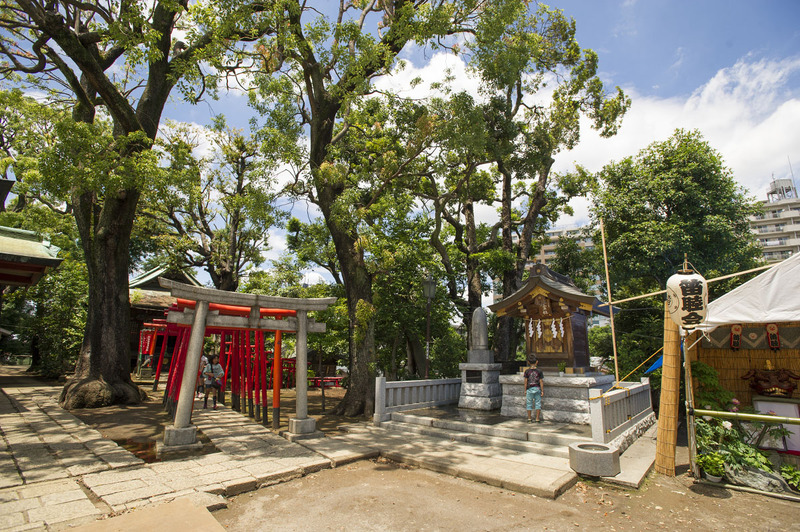 The first Fukizuka was constructed in 1780 at Takada in modern day Nishi Waseda (later relocated), and this Fujizuka in Shinagawa Shrine was built very late, which perhaps explains its size. 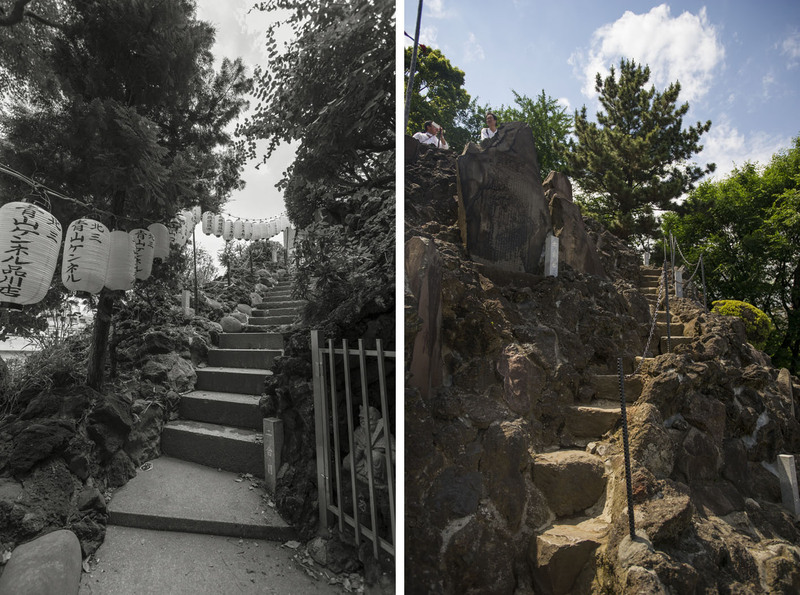 In the old days all of these were built in locations where you could actually see the real Mount Fuji from the top, but due to the construction of tall buildings this has been lost. 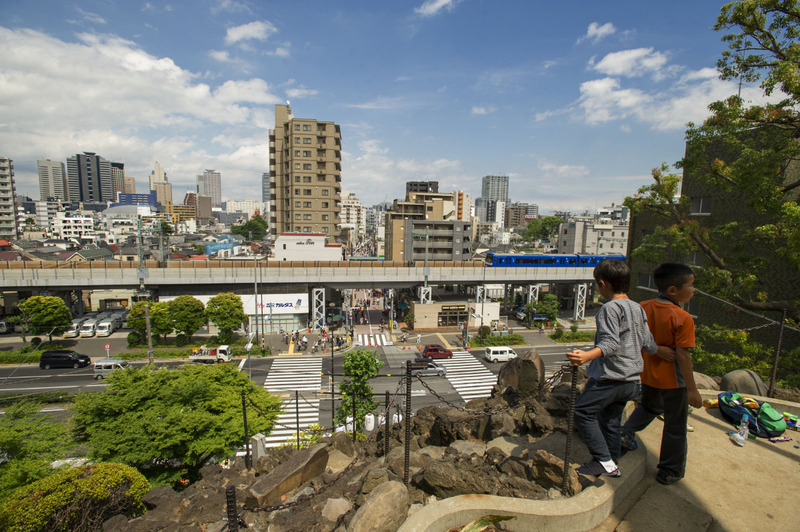 I think it is possible to see the mountain from this very tall Fujizuka though, but despite dozens of visits I have never managed even a glimpse. 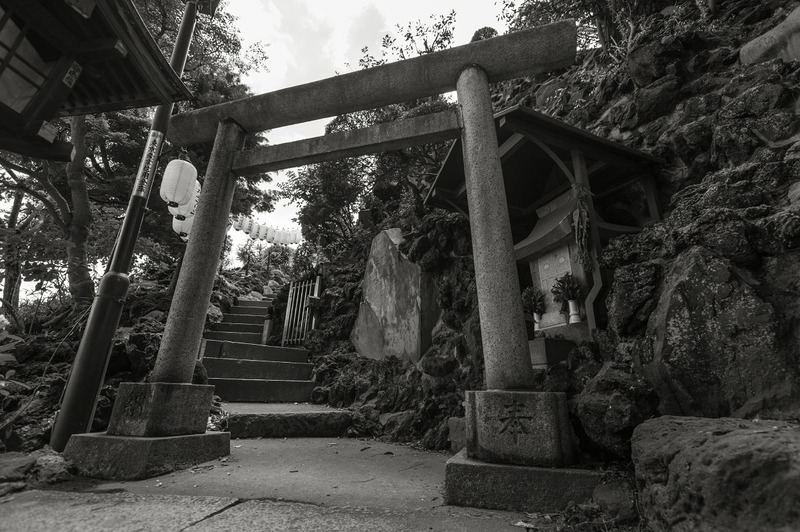 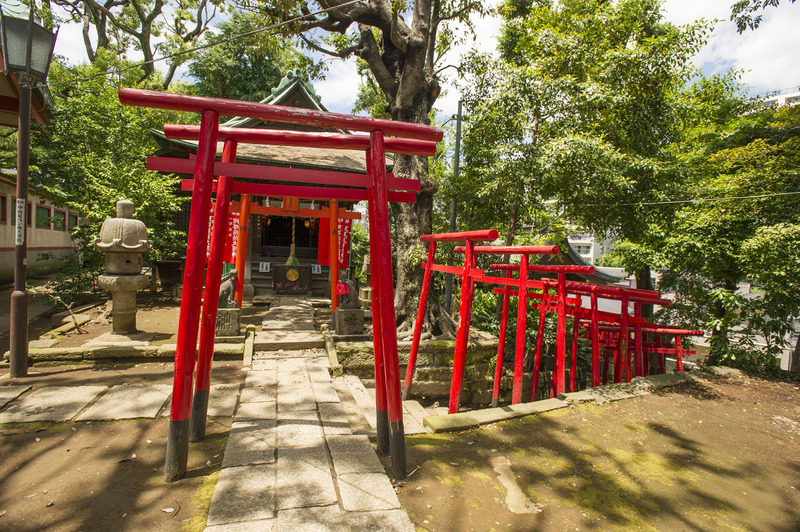 If you visit the Shinagawa Shrine and the small and quite terrifying footpath to the top is open I recommend a climb, the views are quite good, and you can almost see down to the old Tokaido road, the main highway of old Japan. 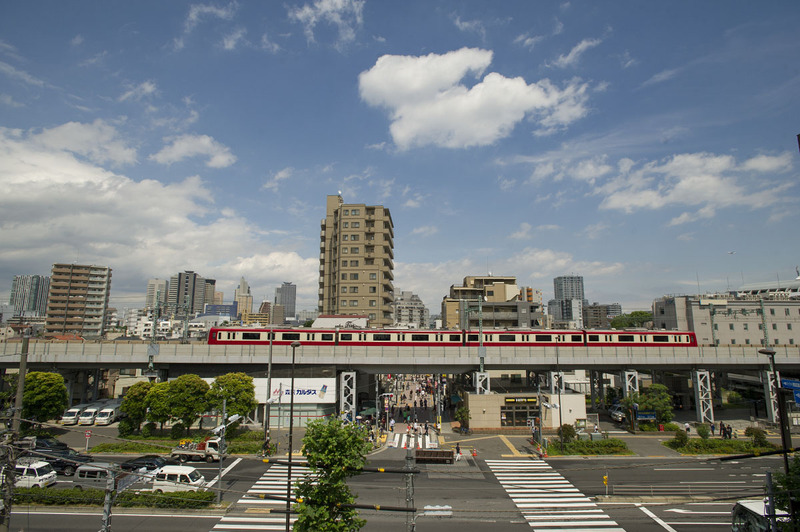 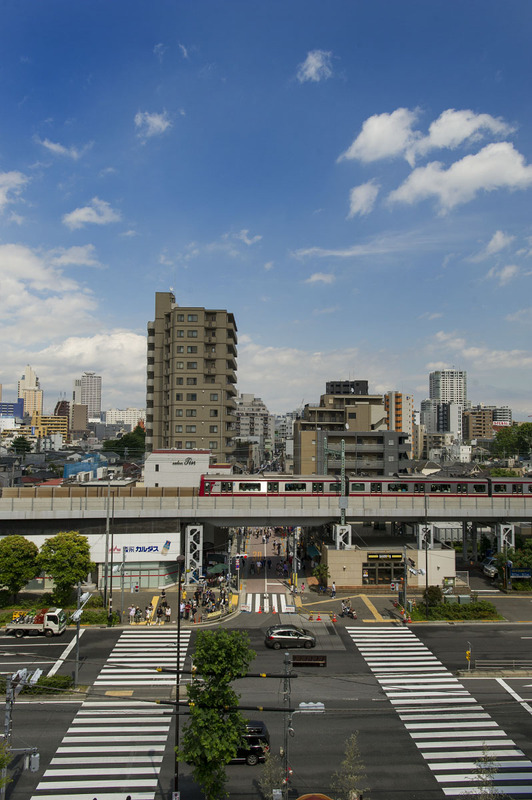 Another thing you will see a lot of are trains, as they pass right on top of the little Shimbamba Station, and if you have a keen eye you might spot the dozens of jets coming in for landing or taking off from Haneda Airport to the south west of the shrine! 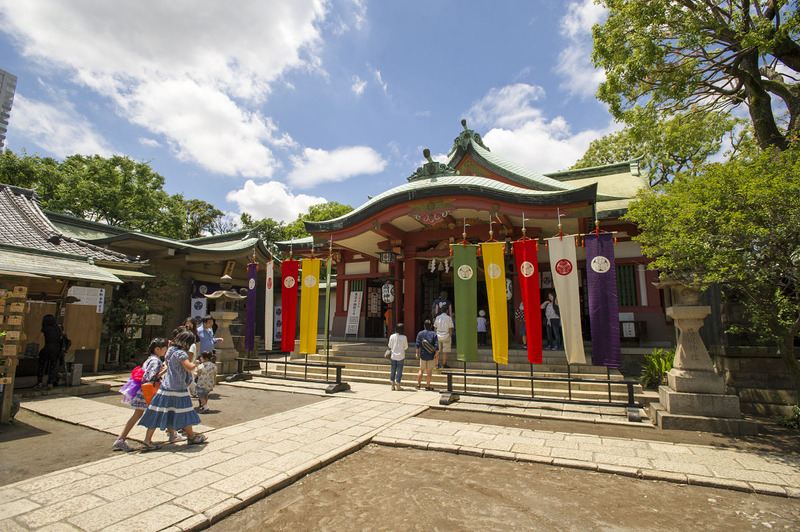 I have been to the famous Shinagawa Shrine near the little Shimbamba Station (新馬場駅) in Tokyo’s formerly seaside Shinagawa Ward dozens of times, but never when it has been this pretty and the weather this great! 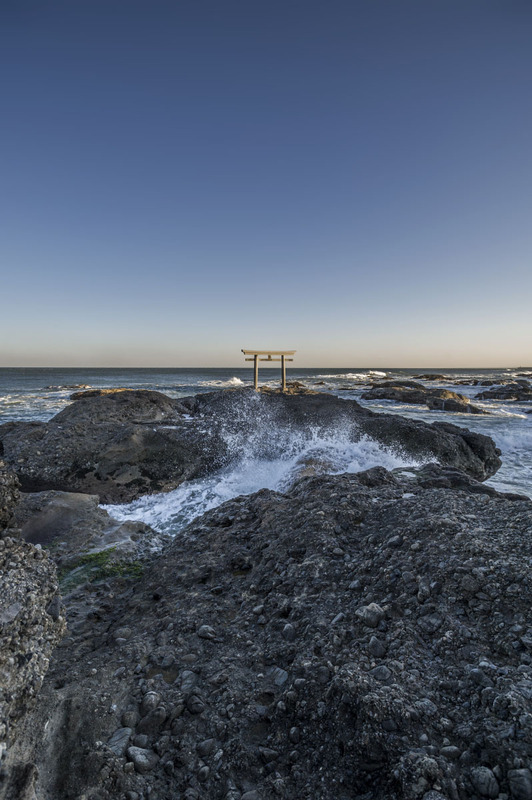 Founded in 1187 A.D. on the top of cliff overlooking the ocean it is now far from any water but still a great place to visit. 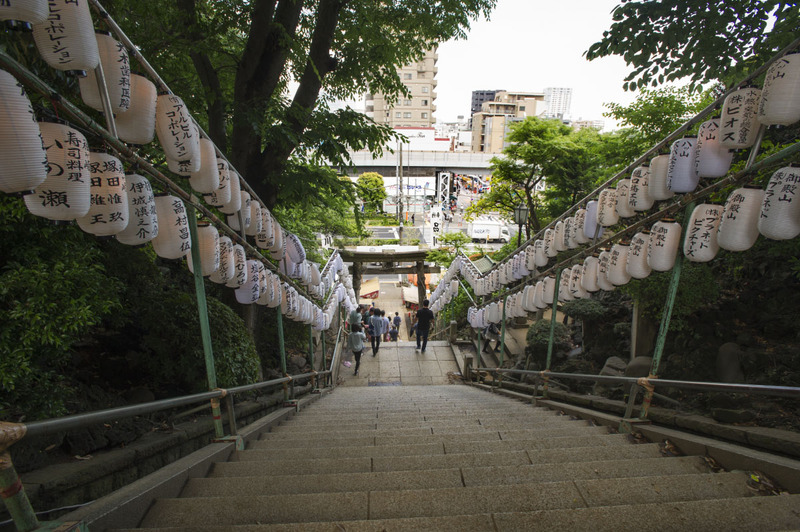 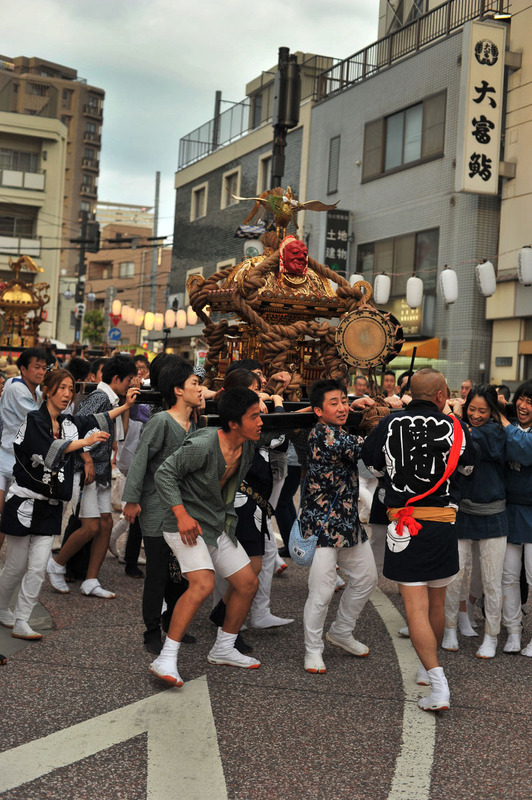 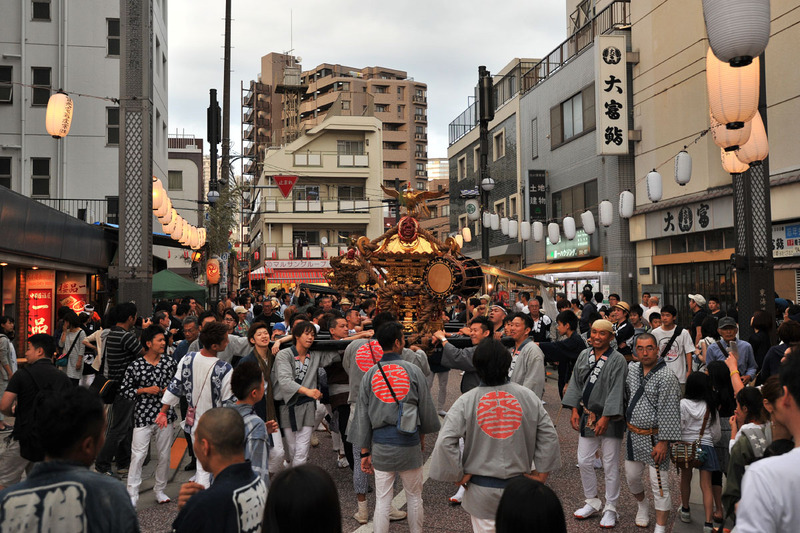 I visited during the weekend, to enjoy the annual festival with its scary looking stair ascent for the omikoshi. 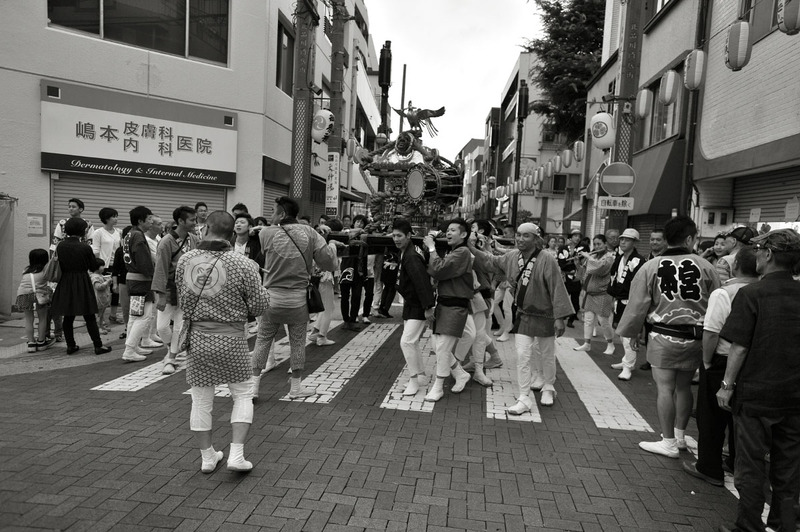 More photos and history to come! 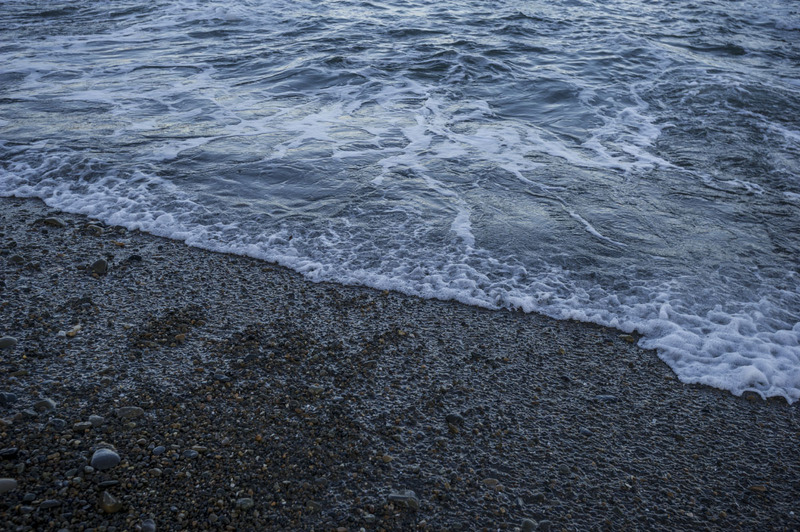 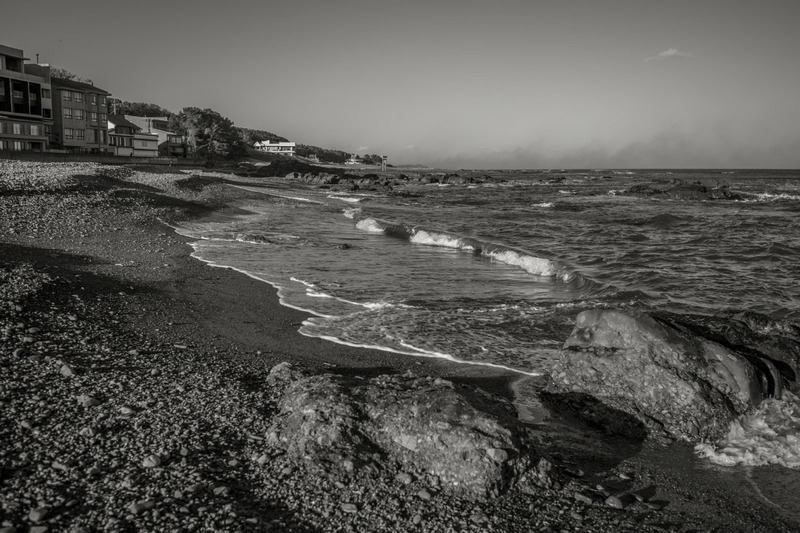 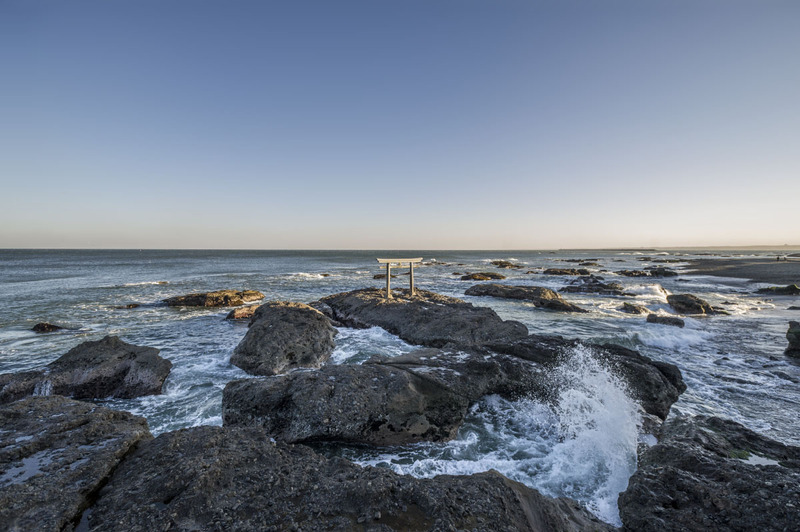 More photos of the coast and ocean at Oarai Isosaki Jinja in Ibaraki Prefecture to the north east of Tokyo. 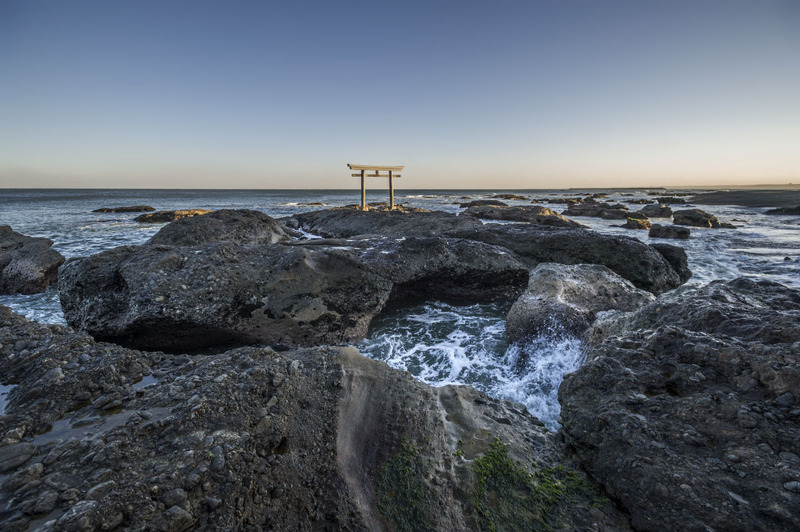 The torii, the shrine gate, located on top of a rock in the ocean is especially photo worthy, and very popular with photographers from all over Japan. 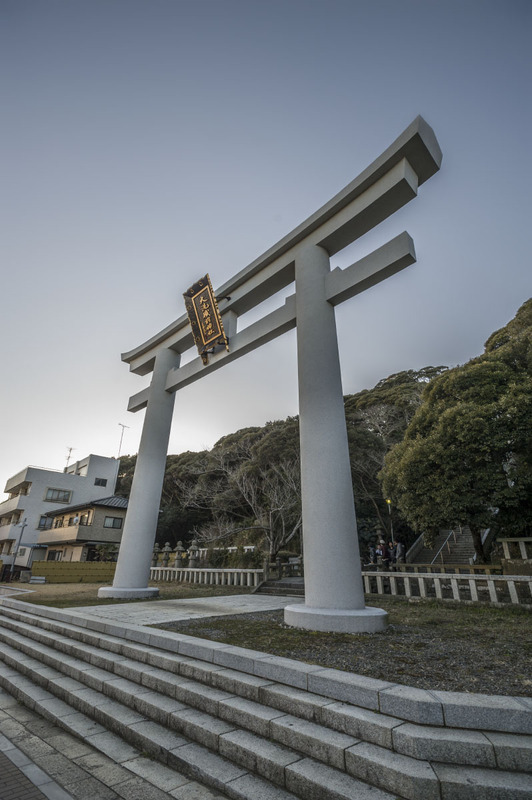 The waterfront is reached by just walking straight down from the main shrine building, passing the huge torii just before the stairs, crossing the road and then following a small path down to the water in between two buildings. 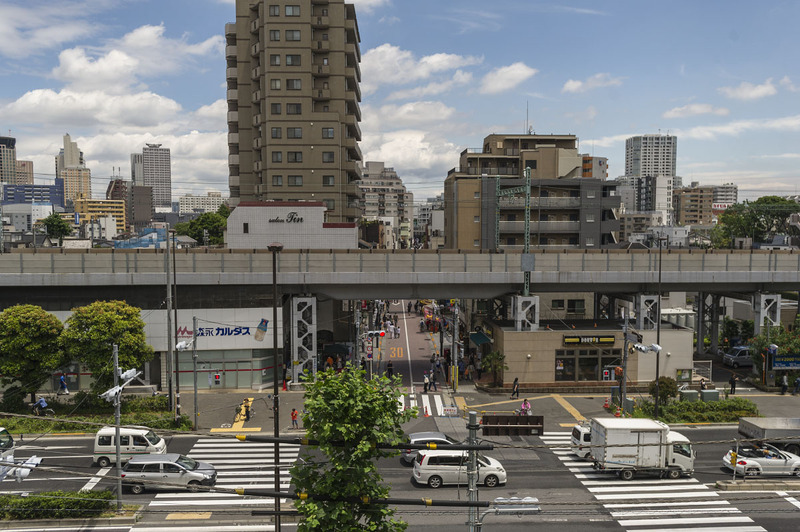 If you are ever in the neighborhood I recommend it!